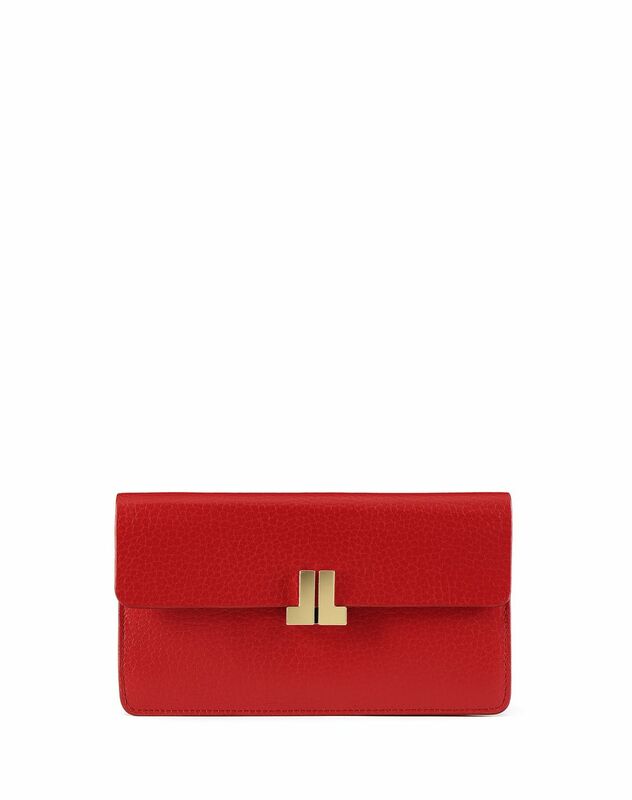 "JL" wallet in smooth poppy-colored calfskin leather, flap closure with press stud bearing Jeanne Lanvin "JL" initials, tone-on-tone topstitching, zippered inner storage pocket and calfskin leather lining with "Lanvin" logo. 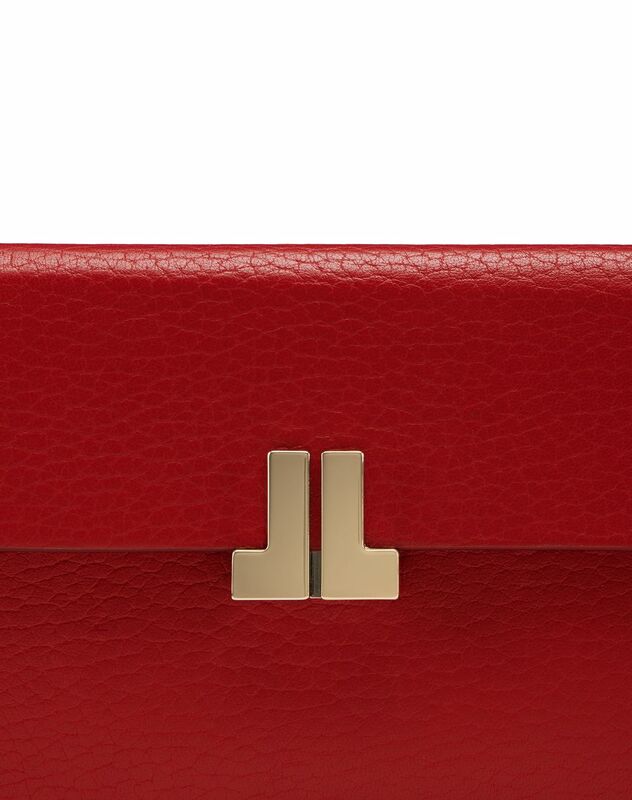 The "JL" wallet stands out for its graphic shape and press stud in the form of Jeanne Lanvin’s initials, which leave the brand’s mark on this model. 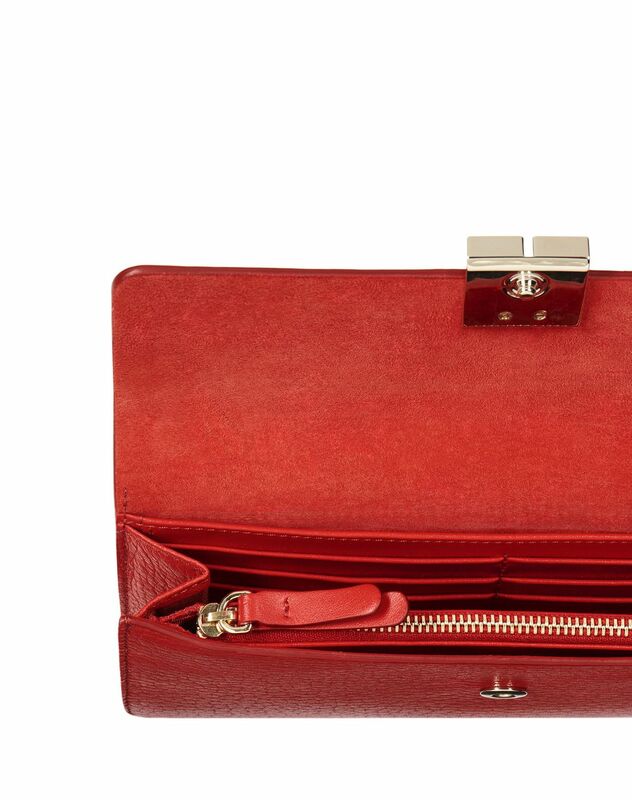 Its grained leather and poppy color add character to the piece, making it modern and timeless. 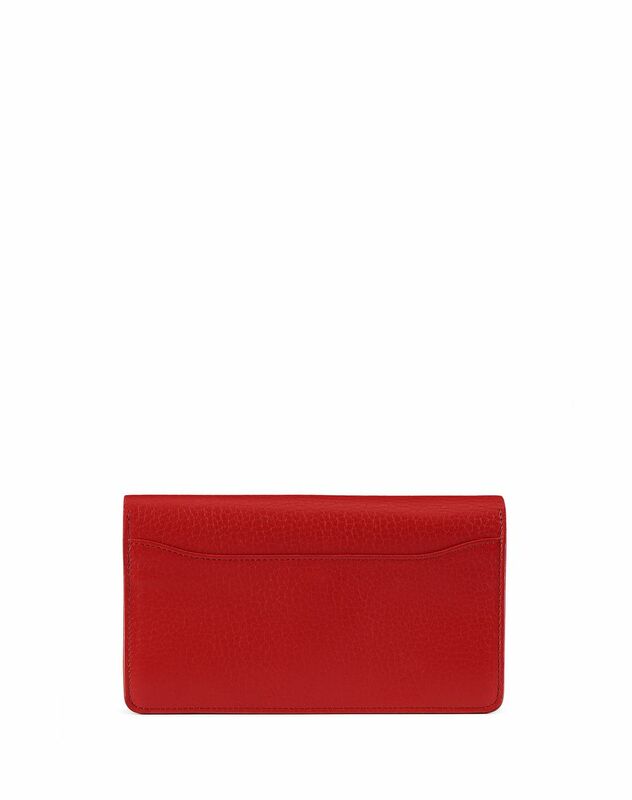 Whether used as a wallet or carried as a clutch for casual style, the "JL" wallet creates a distinctively contemporary, urban look.